Liquid Level Sensors use a photo-transistor trigger that provides a digital output. 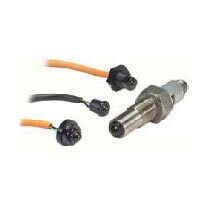 These sensors incorporate reverse polarity, over voltage, short circuit and transient protection. We are counted among the top Suppliers of Liquid Level Sensors. We have developed a vast distribution network, due to which, it has become easy for us to deliver retail as well as bulk orders for Liquid Level Sensors within the committed time frame.